Nutrilon Omneo-comfort 2 : Nutrilon Omneo-comfort 2 is the complete baby food specially formulated for babies up to 6 months old who are suffering from cramps and/or constipation. Nutrilon Omneo-comfort 2 contains all the necessary nutrients that your baby needs, in the optimal proportion. To prepare 100 ml milk, dissolve 3 scoops (14,7g) powder in 90 ml water. After preparation the milk must be consumed within an hour or it can be stored in the refrigerator for up to 24 hours. The milk can either be served cold or warm (37 °C). After opening the contents can be kept for a maximum of 4 weeks. 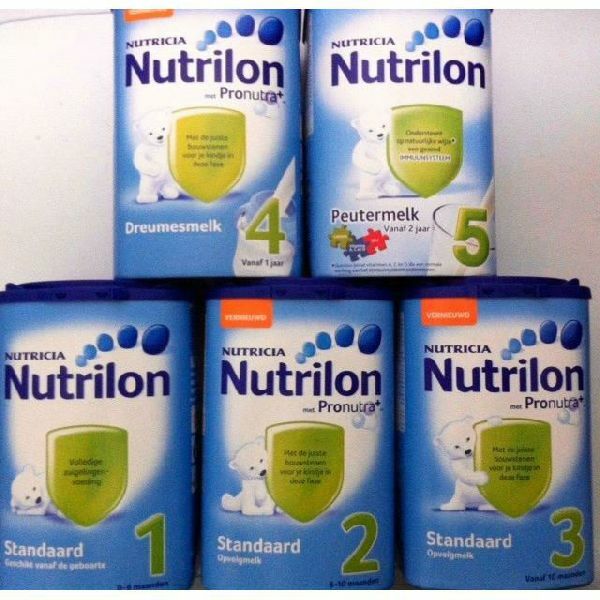 One pack of 800 g Nutrilon Omneo-comfort 1 serves approximately 5,4 litres of liquid growth milk. Characteristics of van Nutrilon Omneo-comfort 1 infant formula : Nutrilon O.C. 2 baby food contains partially chopped cow’s milk protein, which decreases the likelihood of the proteins being recognized and reduces the chance of developing an allergy. In addition, Nutrilon O.C. 2 contains a patented mix of prebiotic fibres, vitamins C & D, unsaturated omega fatty acids DHA and AA and beta palmitate. Nutrilon O.C. 2 is thicker than regular infant milk; therefore it is recommended to use a teat with a bigger opening. Always consult your doctor or clinic before using Nutrilon O.C. 2.